It was a typical, frigid Saturday night on Fountain Avenue, with hoards of brave yet anxious students traipsing up and down the street, unsure what to do with themselves. However, inside one modest little house, a small group of people were treated to an increasingly rare Wesleyan phenomenon: a proper, sweaty rock show. It was the supposedly “secret” reunion of Barbara Shop, consisting of Neel Madala ’20 (guitar & vocals), Ezra Kohn ’20 (guitar), Adam Manson ’19 (bass), and Lucas Cereijido ’20 (drums and vocals). The garage-rock quartet took the student music scene by storm last year, playing a prolific number of shows and developing a large following for their energetic, eardrum-damaging performances. A combination of conflicting semesters abroad and graduation dates meant that the band always had an imminent one-year expiration date. In the wake of the group’s disbanding, the student body hoped that, going into the school year, there would be new groups forming. Instead, the once-massive indie-rock scene has wilted significantly. While students looking for live performances were once given an immense variety and range of options, some more embarrassing than others, now even a student DJ set has been hard to come by. Almost none of the prominent acts that defined some students’ weekend plans for the past couple of years are still active. Maybe it’s the cold weather that has enveloped the campus since October or a new, unspoken, campus-wide commitment to focusing on studies, but there is something different in the air as of late. Thankfully, Barbara Shop decided to get the gang back together one last time, albeit in a much more intimate fashion than ever before. While this year’s scene has been defined by official concerts at program houses, this reunion show took place in a house, offering a different experience to Wesleyan concert goers. This smaller environment had two bonuses: a tightly packed crowd and a group of dedicated fans. As the band kicked off, a delirious roar erupted as students collectively released a burst of bottled-up, concert-deprived energy. “How’s everybody doing tonight? !” Madala would occasionally scream, less a question than an affirmation that all was right with the universe. The music, channeling the likes of The Strokes and early Arctic Monkeys, was performed with a tightness that could only come from a group with immense chemistry, respect, and love for one another. As the catchy post-punk riffs blared out aggressively from the speakers, the temperature inside seemed to skyrocket. Quickly, jackets were tossed aside and bodies were mushed together. Of course, not all were up to the challenge, as some students understandably made the decision to back away from the mass at the front of the room before they risked getting crushed in the mayhem. “Where’s my phone?” one shorter audience member [Editor’s note: It was me, Brooke Kushwaha ’20] cried with anguish as dozens of feet slid all over the floor. There was a moment of fleeting terror as she ducked head-first into the danger zone, snatching her phone away from impending destruction. Elsewhere, a taller boy made an impassioned plea to the audience to keep the energy up during a barely perceptible lull: “You better keep yelling! I’m serious!” Another daredevil embarked on a surprisingly successful crowd-surf. With the moshers surrounded by gaggles of more passive bystanders, it became very clear that there was a clash of values along with the clash of bodies. As the set went on, the technical quality of the group shined through. Alongside the chugging power chords, invigorating bass lines and steady drumming were occasional moments of pure flair. Psychedelic breakdowns and theatrical, flamenco-influenced lead guitar lines would appear spontaneously yet organically, a testament to the group’s songwriting. The emotional apex of the night, however, came when the whole band switched roles for a raucous cover of Britney Spears’ “Toxic,” featuring Cereijido as the frontman. As the crowd sang along and torpedoed themselves into one another, Cereijido himself ventured deep into the pit, breaking the barrier between performer and audience member and disappearing into the dungeon of perspiration. Unfortunately, all good things come to an end. At the end of their last song, Madala, a constant cheerleader throughout the night, stepped up to the microphone, nonchalantly said, “That’s it, we’re done,” and put his guitar aside. This unceremonious ending left many in the audience in momentary denial. “One more song!” was chanted for no more than 20 seconds, somehow delving into “Barbara Shop!” before whittling away into nothing. The lights went up, and the crowd shuffled out back into the cold, once again blending into the anxious and confused mass on the street. 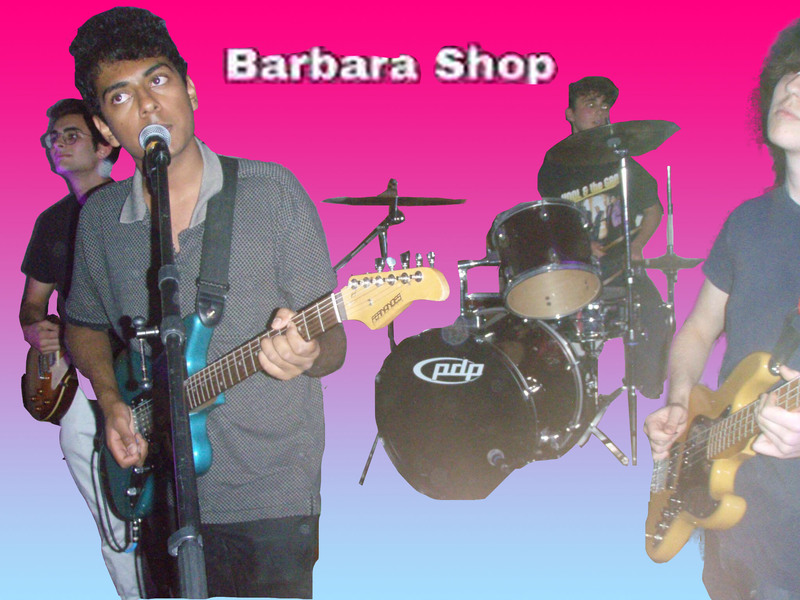 Barbara Shop may have played their last show, but the band’s legacy continues. A full-length studio album is expected to be finished in the coming months. For now, though, the passionate indie-rock aficionados who found their way to this concert will have to be content with memories of this pleasant night. Will Jacobson can be reached at wjacobson@wesleyan.edu.